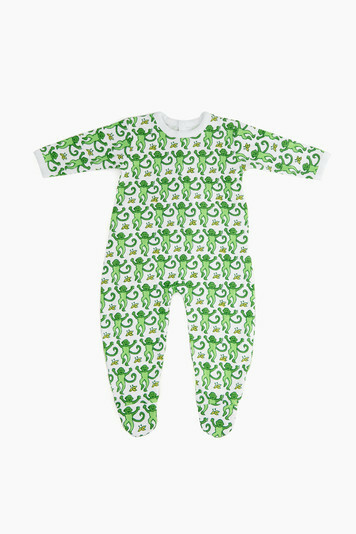 This colorful block print infant's one piece in soft, snug fitting jersey guarantees sweet dreams! 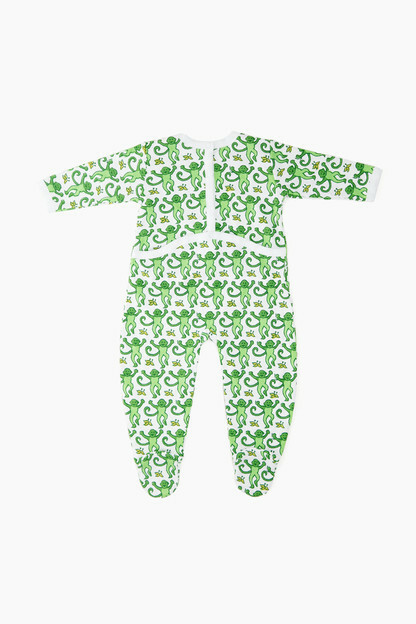 This onesie is absolutely adorable with a fun, whimsical print. Perfect for your little monkey!